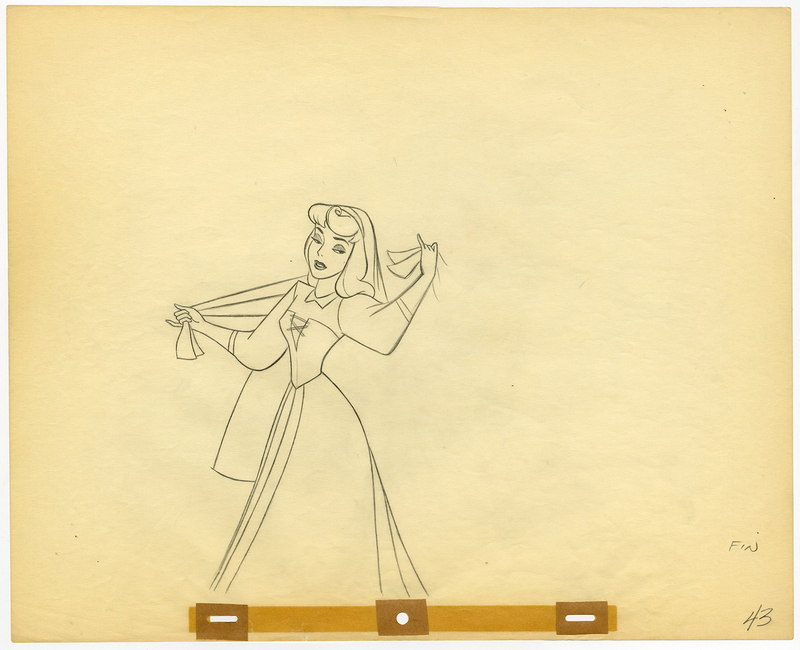 7.5" x 5.5",7.5" x 3.5"
This is an original pair of Marc Davis and John Lounsbery Production Drawings from the Walt Disney Studios production Sleeping Beauty (1959). 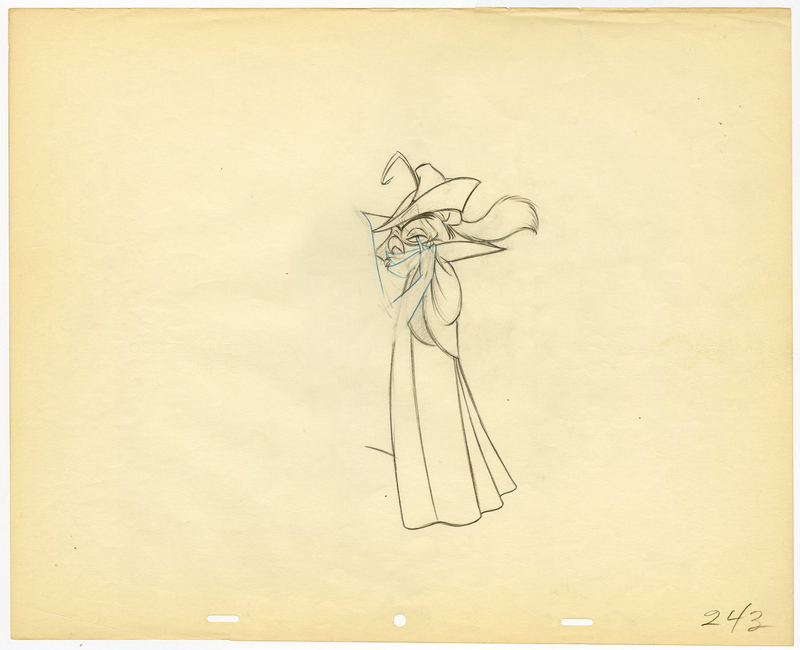 These Production Drawings feature Brair Rose Mock Prince and were created at the studio and used during the production of the film. The overall measurements of each piece are 12.5" x 15.5" and the images measure 7.5" x 5.5" for Briar Rose and 7.5" x 3.5" for the Mock Prince. 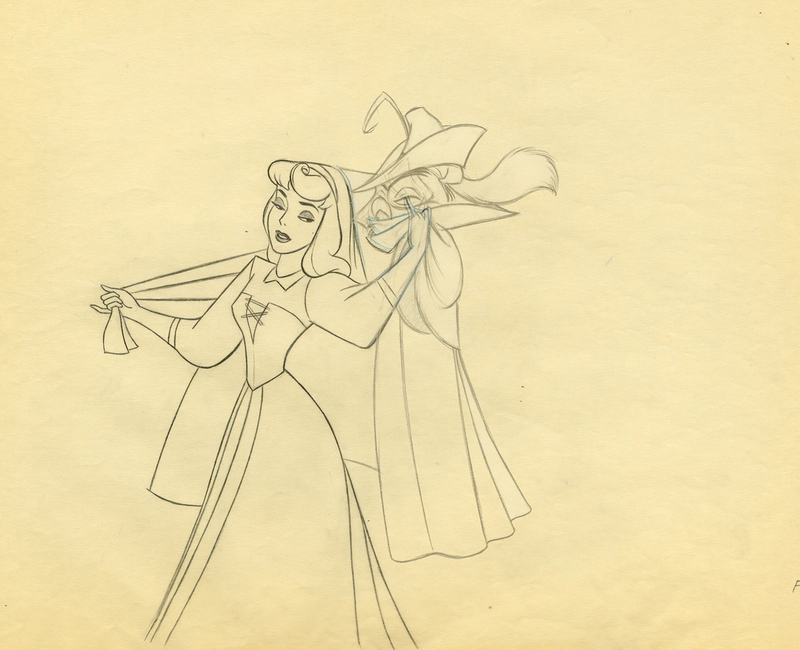 These are matching drawings that were animated together to create the sequence in the film with both drawings being created by animators that were part of the "Nine Old Men" of Disney Studios.